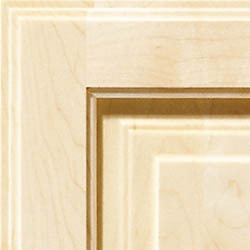 Raised panel doors are created by connecting pieces of solid lumber, called staves, together to make a large, flat panel piece. Panels are then routed and sanded with the desired panel edge detail. Solid Panels are created with the same lumber material as the frame of the door for a cohesive look from panel to frame.